SHALL WE NOT HEED THE REQUEST OF THE WOUNDED HEART OF OUR MOTHER? N.B. The Confession may be made during the eight days before or after the Communion. The Rosary (five decades) may be recited at any convenient time of the day, and the 15- minute meditation may be made at any time of the day, either on all the mysteries as a whole, or on one special mystery. Are there not enough devotions? 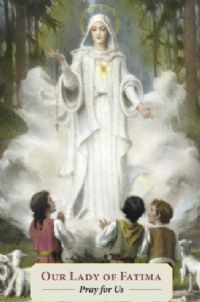 But, devotion to the Immaculate Heart of Mary is one about which it has been said in the apparitions at Fatima, that GOD wants this devotion to be established and should mean the beginning of a greater cult of the same Heart; and that this cult should mean placing the Mother’s Heart beside that of the Son. It does not seem that such significant and meaningful words have been spoken about any devotion!